For more than 150 years, TAG Heuer has faced down every challenge, and then pushed past it. By defying the time-honoured conventions of Swiss watchmaking, it has led it to ever higher levels of precision and performance. It makes its own rules, chooses its own path, never quits moving forward, never compromises, never cracks under pressure. The Bundesliga was founded in 1963. 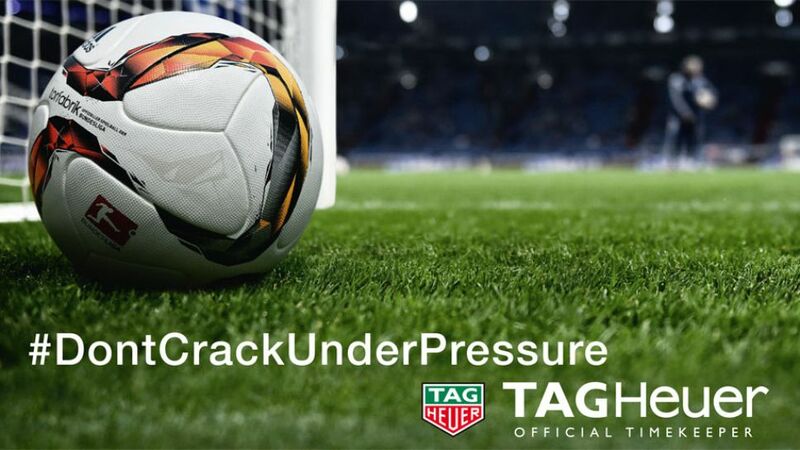 The Bundesliga today is a very efficient league, as well as an exceptional communications platform which will perfectly embody the #DontCrackUnderPressure mindset.